I’m on a hunt to find my 2015 Summer cocktail. There are a few in the running, and I’m going to share one of them with you today. I am all about fruit and herbs being a part of the cocktail. I want real stuff in it. It not only needs to be tasty, but I want it pretty too. 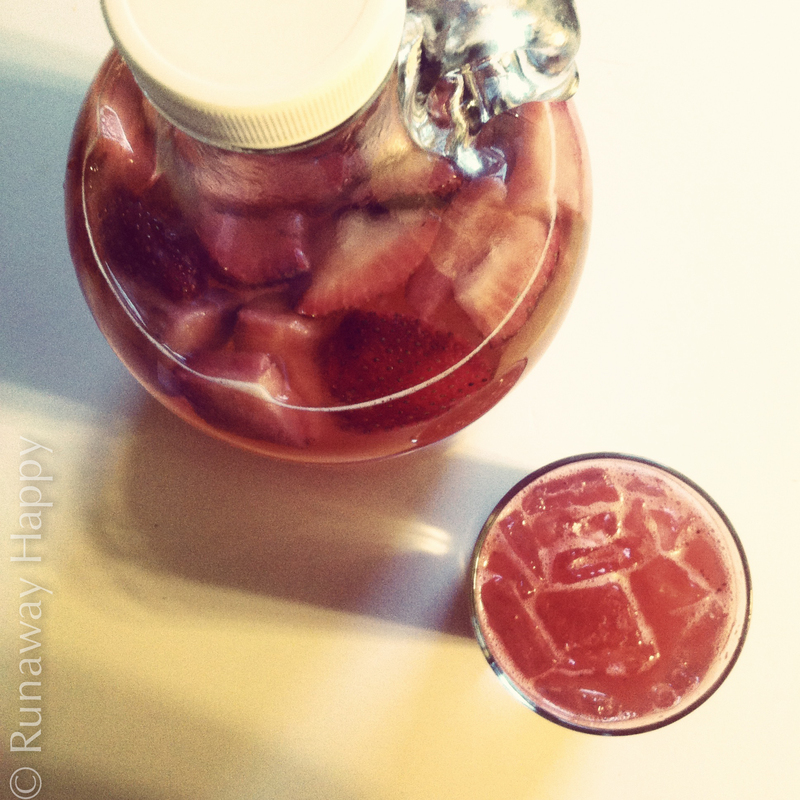 I stumbled across a strawberry kombucha cocktail on Pinterest the other day and here is what happened. You gotta have some good Kombucha which is a fermented tea that you can buy almost anywhere these days, but if you look real hard you can find a good local source. If you are really ambitious you can even make your own. I have tried and failed at making my own. Long story. I prefer to go the local route. The fabulous people over at Agri-Cultured are a totally wonderful and reliable source for this goodness. Look for them at a farmers market near you, and by near you, I mean if you live in central Iowa. Next get yourself some good strawberries and make a puree! Blend all of that up in your blender. Should be a little runny. I thought it should be thick but izaak was right that it should be runnier. NOW put all of that together over ice! NOW DRINK and enjoy. You can thank me later.